The Libyan Post Telecommunications and Information Technology Company, which had splintered amid the ongoing conflict, was formally reunified in early 2018; it began holding meetings and announced a number of new ICT infrastructure projects (see Availability and Ease of Access and ICT Market). In June 2017, mobile and landline service was restored in Sirte after militants from the so-called Islamic State were driven from the coastal town last year (see Restrictions on Connectivity). At least two individuals were arrested for criticizing public officials on social media (see Prosecutions and Detentions for Online Activity). Internet freedom improved this year in Libya thanks to improved access and no intentional restrictions to connectivity. However, at least two individuals were arrested for expressing political opinions online, and access to Facebook was disrupted after the coverage period. Libya remained plagued by a weak and fragmented central government. Foreign intervention, rival governments, and various militias have prevented the consolidation of power and legitimacy needed for governing. The Presidency Council, tasked with forming a new “Government of National Accord” after UN-sponsored peace talks, has been unable to exercise full control of state ministries based in Tripoli. Meanwhile, its legitimacy has been harmed by a refusal of the House of Representatives, based in the Eastern city of Tobruk, to ratify the UN peace plan and endorse the new government. While there have been tentative steps toward reconciliation between political and military leaders, violence between cities, tribes, and ideological factions continues to hinder progress. In June 2017, mobile and landline service was restored in Sirte after the Islamic State (IS) was ejected from the coastal town by armed groups loosely affiliated with the internationally recognized government based in Tripoli. However, connectivity was again restricted following the coverage period, when Facebook was temporarily blocked in Tripoli and several other cities in September 2018. Separately, the Libyan Post Telecommunications and Information Technology Company (LPTIC) formally reunified in early 2018; it began holding meetings and announced a number of new ICT infrastructure projects. The national crisis and lack of rule of law have had a devastating effect on internet freedom in Libya. Prior to the revolution, the regime of the late Muammar Qadhafi targeted opposition news websites, particularly after the lifting of UN sanctions in 2003 that led to increased access to surveillance and filtering equipment. Since the overthrow and death of Qadhafi in 2011, the country has witnessed a flurry of self-expression, resulting in an increase in news sites and massive growth in Facebook use. However Libya’s online journalists, bloggers, and activists have increasingly practiced some degree of self-censorship due to continued instability, increasing threats, violence, and enforced disappearances over the past years. Nevertheless, the power of the internet as an organizing tool was underlined in several recent campaigns. Internet access has been badly affected by the ongoing conflict, as electricity outages and physical damage to infrastructure have limited connectivity. However, the quality of service for those who can access the internet has improved recently. The majority of the ICT sector remains monopolized by state-owned entities. The LPTIC, which had splintered amid the conflict, was formally reunified in early 2018 and announced several new ICT infrastructure projects. Power and telecommunications services remain unstable across the country, with frequent cuts and stoppages due to high demand, infrastructure damage, coercion by armed groups, unauthorized construction, sabotage, and theft of ICT equipment. Despite attempts to reach a solution, there is no consensus between Libya’s two opposing institutions, based in Tripoli and Tobruk, respectively, on how to rebuild infrastructure on a national scale. Mobile phone use is ubiquitous, with just under 11 million mobile subscriptions in Libya, representing a penetration rate of 169 percent, according to statistics released in early 2017.10 Prices dropped precipitously after the introduction of a second mobile provider in 2003, resulting in greater affordability and opening the market to competition—although both of Libya's operators are still owned by the state-run LPTIC. As of mid-2017, the price of a prepaid SIM card from the main provider, Libyana, was LYD 5 (US$4), compared to LYD 1,200 (US$873) in 2003. In April 2017, Libyana Mobile Phone deactivated foreign subscribers’ cell phones, reportedly over concerns that criminals and radical groups were using Libyana services that were registered to foreign migrants passing through the country in order to organize. Libyana said it would allow foreign residents to reactivate their SIM cards if they were able to produce a valid visa and passport. 17 Al-Madar, the other mobile operator in the country, has taken similar action. Libya has witnessed repeated shutdowns to internet service due to vandalism and politically motivated attacks on telecommunications infrastructure. However, no restrictions to connectivity or social media and communication platforms were recorded during the coverage period. Although, a few restrictions to connectivity occurred following the reporting period. The state-run LPTIC, formerly the General Post and Telecommunications Company (GPTC), is the main telecommunications operator and is fully owned by the government. In 1999, the GPTC awarded the first internet service provider (ISP) license to Libya Telecom and Technology (LTT), a subsidiary of the state-owned firm.26 Since the fall of the regime, 25 ISPs and 23 VSAT operators have been licensed to compete with state-owned ISPs. Many are based in Tripoli and have strong ownership ties to the government. LPTIC owns two mobile phone providers, Almadar and Libyana, while a third provider, Libya Phone, is owned by LTT. Libya’s regulatory environment is plagued by ongoing disputes over the country’s political governance. The ICT regulator is the General Authority of Communications and Informatics (GACI), formerly known as the General Telecom Authority (GTA). During the Qadhafi era, decisions on licensing were made by the government-controlled GPTC (now the LPTIC).31 After the revolution, the transitional government established the Ministry of Communications and Informatics to oversee the country’s telecommunications sector. Officially, the ministry runs the sector through two main bodies: LPTIC and GACI. GACI is nominally responsible for policymaking and regulations, while LPTIC is a holding company for all telecommunications service providers in the country. Libya’s top-level domain, “.ly,” falls under the responsibility of LTT. While the online media landscape opened suddenly after the fall of Qadhafi, the subsequent battle for leadership of the country and accompanying lawlessness fostered self-censorship, harassment, and threats against journalists and online commentators, and a scarcity of high-quality reporting. Facebook is an important news source for many Libyans; many government bodies post official statements directly to their Facebook pages. The platform has also been used by activists to organize. A 2006 law mandates that websites registered under the “.ly” domain must not contain content that is “obscene, scandalous, indecent, or contrary to Libyan law or Islamic morality.”39 Prior to the war, “indecency” was prohibited by law but sexually explicit sites were not typically blocked. However, blocks of such material have been enforced in the post-Qadhafi era. Almost a million pornographic websites were blocked in 2013 by the Libya Telecom and Technology (LTT). It has not unblocked the content, perhaps due to the conservative outlook of some political factions vying for influence in the future of Libya. In February 2014, the LTT blocked an additional set of pornographic sites, and mistakenly blocked the Wordpress.com domain for a few days. Officials have yet to formulate regulations outlining when sites may be blocked. In practice, the procedures for doing so are opaque. Officially, all regulations from the Qadhafi era remain valid. When accessing a banned website, users are shown a message from the service provider noting that the site has been blocked. Authorities do not frequently request private providers or intermediaries to delete content. Rather, there are coordinated efforts to “report” Facebook pages for deletion, particularly for political views against militias. Separately, many Qadhafi-era government webpages containing information on laws and regulations from before the uprising are inaccessible, as is the online archive of the old state-run Libyan newspapers. Some of these websites may have become defunct after the officials running them were ousted or hosting fees were left unpaid, but others were likely taken down deliberately when the revolutionaries came to power. While the online media landscape opened suddenly after the fall of Qadhafi, the subsequent battle for leadership of the country and accompanying lawlessness have fostered negative trends such as self-censorship, verbal harassment of journalists and online commentators, and a lack of quality reporting. Over the past years, Libyans have used Facebook and Twitter to mobilize around a variety of causes. Recent campaigns include supporting peace and movement toward a unity government, promoting social justice causes, defending freedom of expression, and commemorating individuals murdered for their activism.47 Most of these campaigns started and spread through hashtags. For example, a Facebook page and hashtag titled #ليبيا_الي_السلام (Libya toward peace) sparked a national campaign.48 While social media continues to be a vibrant forum for discussion, there appears to be both a noticeable shift to less overtly political issues over the past few years, as well as a growing skepticism of the ability of digital activism to shape the political landscape amid the country’s ongoing turmoil. While social media has been harnessed for good causes in Libya, many have also used the power of social media to target people, organizations, and events that they do not approve of or agree with—a particularly worrying form of online bullying that can have far reaching consequences in a country without laws or security. Amid the ongoing constitutional crisis and weak rule of law, there were flagrant violations of users’ rights in the country. Several online journalists have faced threats, detention, kidnappings, and in some cases violent attacks from militias. Armed factions carried out attacks with impunity, while appropriate oversight of the country’s surveillance apparatus remained shrouded in doubt. Several repressive Qadhafi-era laws remain on the books due to the absence of significant legal reforms in the country since the revolution. These include measures carrying harsh punishments for those who publish content deemed offensive or threatening to Islam, national security, or territorial integrity. A law on collective punishment is particularly egregious, allowing the authorities to punish entire families, towns, or districts for the transgressions of one individual.55 Because of their vague wording, these laws can be applied to any form of speech, whether transmitted via the internet, mobile phone, or traditional media. Meanwhile, perpetrators of crimes against journalists and activists have enjoy impunity. There are generally not onerous registration requirements or restrictions on anonymous communications in Libya. The surveillance capabilities and activities of domestic intelligence agencies are unclear, as is the LPTIC’s involvement in any such activity.59 There are concerns that powerful surveillance tools left over from the Qadhafi era may have been reactivated. Given the lack of an independent judiciary or procedures outlining the circumstances under which the state may conduct surveillance, there is little to prevent the government, security agencies, or militias who have access to the equipment from abusing its capabilities. The breakdown of the rule of law and the growing influence of militias have resulted in a worrying uptick in politically motivated threats and violence against journalists and activists since the 2011 war. Human rights defenders, activists, and social media bloggers have been physically attacked, detained, threatened, harassed, and disappeared by armed groups, some of whom are affiliated with the state authorities, in Tripoli and elsewhere in Libya. Websites are highly vulnerable to cyberattacks in Libya, with prominent news sites employing protection measures against distributed denial-of-service (DDoS) attacks. Anti-militia Facebook pages have been hacked or closed down after mass reporting by users, a significant concern given that most Libyans consider Facebook to be their main source of news. 1 IndexMundi, Huly2017, https://goo.gl/tWpAJZ . 6 The Libya Observer - LTT introduces Libya’s first 4G portable WiFi routers, March 2018, https://goo.gl/FR4mMA. 7 Data about internet users in Libya on: LPTIC, Facebook page, accessed May 10, 2015, http://on.fb.me/1LnX6MM. 8 International Telecommunications Union, “Fixed (wired-) broadband subscriptions,” 2015, http://bit.ly/1cblxxY. 9 International Telecommunications Union, “Fixed (wired-) broadband subscriptions,” 2017, https://www.itu.int/en/ITU-D/Statistics/Pages/stat/default.aspx. 10 Simon Kemp, We Are Social, Hootsuite, “Digital in 2017: Northern Africa.”, https://www.linkedin.com/pulse/digital-data-trends-every-country-world-simon-kemp. 11 Almadar Aljadid, 2018, https://goo.gl/PLCnt7. 12 Libya Telecom & Technology, 2018, http://www.ltt.ly. 13 Libya Telecom & Technology, 2018, http://www.ltt.ly. 14 The World Bank, “GDP per capita (current US$),” accessed October 24, 2018. https://data.worldbank.org/indicator/NY.GDP.PCAP.CD?locations=LY . 15 LPTIC - Libyan Post, Telecommunication & Information Technology Company, 2018, http://lptic.ly/en/2018/02/06/lptic-holds-annual-general-assembly-meetings-for-all-of-its-libyan-operating-subsidiaries-for-the-first-time-since-2014/. 16 Reuters - INTERVIEW-Reunited, Libya telecom starts $1.7 bln work plan, https://www.reuters.com/article/libya-telecoms-idAFL8N1R53JC. 17 The Libya Observer - Libyana Mobile deactivates foreigners’ SIM cards, https://goo.gl/NrsUf6. 20 “IS stops phone communications between west, east and south Libya: report,” Libya Herald, August 26, 2015, https://www.libyaherald.com/2015/08/26/is-stops-phone-communications-between-west-east-and-south-libya-report/. 21 LPTIC Facebook statement, August 29, 2015. https://www.facebook.com/LPTIC/posts/805337812897589. 22 “‘We feel we are cursed’: Life under ISIS in Sirte, Libya,” Human Rights Watch, May 18, 2016, https://www.hrw.org/report/2016/05/18/we-feel-we-are-cursed/life-under-isis-sirte-libya. 23 “Suq Al-Juma Protestors take over Libyana phone HQ, demand mobile services to Misrata be cut,” Libya Herald, July 12, 2016, https://www.libyaherald.com/2016/07/12/suq-al-juma-protestors-take-over-libyana-phone-hq-demand-mobile-service-to-misrata-be-cut/ . 25 “Copper thieves cut-off mobiles [sic] and internet in the south,” Libya Herald, February 27, 2017, https://www.libyaherald.com/2017/02/27/copper-thieves-cut-off-mobiles-and-internet-in-the-south/. 26 United Nations Economic Commission for Africa, “The Status of Information for Development Activities in North Africa,” (paper presented at the twentieth meeting of the Intergovernmental committee of experts, Tangier, Morocco, April 13-15, 2005) http://bit.ly/1X4OiAG; “Telecoms in Libya, ”[in Arabic] Marefa, accessed August 30, 2012, http://bit.ly/1jAL3Cu. 27 LPTIC Website, “Court order ends legal dispute over the legitimacy of LPTIC’s Board of Directors,” January 27, 2017, http://www.lptic.net/media/press-releases/2017/court-order-ends-legal-dispute-over-the-legitimacy-of-lptics-board-of-directors/; Reuters - INTERVIEW-Reunited, Libya telecom starts $1.7 bln work plan, https://www.reuters.com/article/libya-telecoms-idAFL8N1R53JC; Libya Herald - Tripoli Appeals Court makes final ruling on legitimate LPTIC management, https://goo.gl/XJBxwz. 28 Reuters - INTERVIEW-Reunited, Libya telecom starts $1.7 bln work plan, https://www.reuters.com/article/libya-telecoms-idAFL8N1R53JC. 29 Satellite Providers, “Internet Providers in Libya,” accessed July 12, 2015, http://www.satproviders.com/en/list-of-all-services/LIBYA. 30 Research and Markets: Libya - Telecoms, Mobile and Broadband - Statistics and Analyses, 2017, https://goo.gl/mEuqJ8. 31 Ministry of Justice, “the establishment of the GPTC,” [in Arabic] accessed July, 9, 2015, http://bit.ly/1OSyXk3. 32 Libya – Telecoms, Mobile and Broadband – Statistics and Analysis, Budde Comm, https://www.budde.com.au/Research/Libya-Telecoms-Mobile-and-Broadband-Statistics-and-Analyses. 33 The Ministry of Communication and Informatics, Libyan National Frequency Plan, accessed July, 10, 2015, http://bit.ly/1Llbcwk. 34 Libya Herald - Tripoli Appeals Court makes final ruling on legitimate LPTIC management, https://goo.gl/XJBxwz. 35 Libya Herald - LPTIC disunity has led to misappropriation of funds: UN report, https://goo.gl/s6prQe. 36 See “Organizations and media figures and human rights condemns blocking” [in Arabic] Alwasat News, April 8, 2015, accessed May 11, 2015, http://bit.ly/1G6sEbk. 38 See LPTIC’s Statement regarding the blockage of Facebook in Tripoli, LPTIC, Facebook Post, [Arabic] February 22, 2015, https://goo.gl/PWAlG2; In English, https://goo.gl/iFDX1g. 39 OpenNet Initiative, “Internet Filtering in Libya - 2006/2007,” http://bit.ly/1LbkQDM; “Regulations,” Libya ccTLD, accessed August 30, 2012, http://nic.ly/regulations.php. 40 RSF - Seven years after its revolution, Libya is losing its journalists, https://goo.gl/ZKc8rs. 41 Reporters Without Borders - 2017 World Press Freedom Index, https://rsf.org/en/libya. 42 Brave New Libya (blog), “The Power and Pitfalls of Libya’s Social Media” June, 2017, https://goo.gl/p1bro5. 43 “RSF urges Libya’s new prime minister to protect media freedom,” Reporters Without Borders, March 31, 2016, updated May 19, 2016. https://rsf.org/en/news/rsf-urges-libyas-new-prime-minister-protect-media-freedom. 44 See Fadil Aliriza, “Lack of media coverage compounds violence in Libya,” CPJ Attacks on the Press, April 27, 2015, https://cpj.org/2015/04/attacks-on-the-press-lack-of-media-coverage-compounds-violence-in-libya.php. 45 For a few examples see: http://bit.ly/2qgdEkA; http://bit.ly/2rhrhE3; http://bit.ly/2r5IRKV; or http://bit.ly/2qgFkWg. 46 Alexa - “The Top Sites in Libya”, accessed April, 2018, https://www.alexa.com/topsites/countries/LY. 47 Brave New Libya (blog), “Hashtag activism, from the Digital World to the streets of Libya (Part II),” August 5, 2015. https://bravenewlibya.wordpress.com/tag/ltt/. 48 Brave New Libya (blog), “Hashtag activism, from the Digital World to the streets of Libya (Part II),” August 5, 2015. https://bravenewlibya.wordpress.com/tag/ltt/; see also Facebook page “Libya Toward Peace” http://bit.ly/2duu6JG. 49 The Libya Observer - Young activists to declare new movement for peace, https://goo.gl/dXhsu9; https://aawsat.com/english/home/article/1222836/protests-tripoli-demand-end-transitional-phase. 50 Libya Herald - Volunteers Clean Benghazi’s Maidan Al-Shajara, https://goo.gl/WyGTrv. 51 Brave New Libya (blog), “The Power and Pitfalls of Libya’s Social Media” June, 2017, https://goo.gl/p1bro5. 52 BYTE Organization: "Digital Security & Privacy" program, https://goo.gl/e5R4Yh. 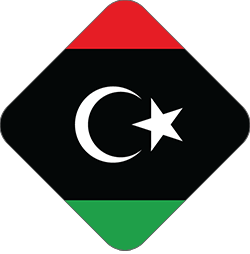 53 Libyan Transitional National Council, “Draft Constitutional Charter for the Transitional Stage,” September 2011, http://bit.ly/1RIRpvc. 54 RSF - Letter to Libyan constitution drafting committee, https://rsf.org/en/news/letter-libyan-constitution-drafting-committee. 55 IREX, Media Sustainability Index – Middle East and North Africa 2005, (Washington D.C.: IREX, 2006), 36, http://bit.ly/1GdOOrH. 56 The Libya Observer - Young man arrested in Benghazi over Facebook posts, https://goo.gl/8mozB6. 57 The Libya Observer - Radio personality arrested in Al-Marij city over criticism of eastern military governor’ orders, https://goo.gl/q6Rvdv. 59“LPTIC website: Press Releases, 2018, http://www.lptic.net/media/press-releases. 60 The Libya Observer - Young man arrested in Benghazi over Facebook posts, https://goo.gl/8mozB6. 61 Ivan Sigal, “Libya: Foreign Hackers and Surveillance,” Global Voices Advocacy, October 26, 2011, http://bit.ly/1k5L2qv. 62 Paul Sonne and Margaret Coker, “Firms Aided Libyan Spies,” Wall Street Journal, August 30, 2011, http://on.wsj.com/1KvvJDg. 63 Human Rights Watch - Libya, https://www.hrw.org/middle-east/n-africa/libya. 64 Libyaakhbar.com: Kidnapping an activist and blogger in Tripoli, https://www.libyaakhbar.com/libya-news/360117.html. 65 Human Rights Watch - Libya: Activists Being Silenced, July 2017, https://www.hrw.org/news/2017/07/27/libya-activists-being-silenced. 66 See Radio France Internationale, “Mysterious Facebook “hit list” causes uproar in Libya,”Soundcloud, 4:02, http://bit.ly/1MBU2Pt. 67 The Libya Observer - Libya marks Safer Internet Day, February 2018, https://www.libyaobserver.ly/tech/libya-marks-safer-internet-day. 68 Libya Herald - Conference on combatting electronic terrorism in Benghazi, August 2017, https://goo.gl/7yN9FJ.